Blackberry 8230 smarphone is (was) not so smart. The old Blackberry 8230 CAN’T record video. It is over an year since I owned this pink device and I never realized that such smartphone can’t record video. It takes beutiful pics though. I wanted to record a video off tv news today and found myself lost after I couldn’t find how to record video. A quick search on the Internet reveled the mystery that old device is not capable of recording video. The good news is that you can still record video in old Blackberry 8230 smartphone. Video recording comes as default in new Blackberry 8230 smartphones. In order to record video on Blackberry 8230 all you have to do is to upgrade the Blackberry Device Software to the latest version which is 4.5. To upgrade the device software visit the following link, click on Update and follow the instructions. 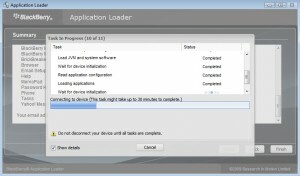 The upgrade link will install Application Loader, once application loader is installed you will have to connect the device and click on Update Now button again on the above link and it will automatically start upgrading. If you are lost then drop me message in comment. Make sure popup is enabled in browser. 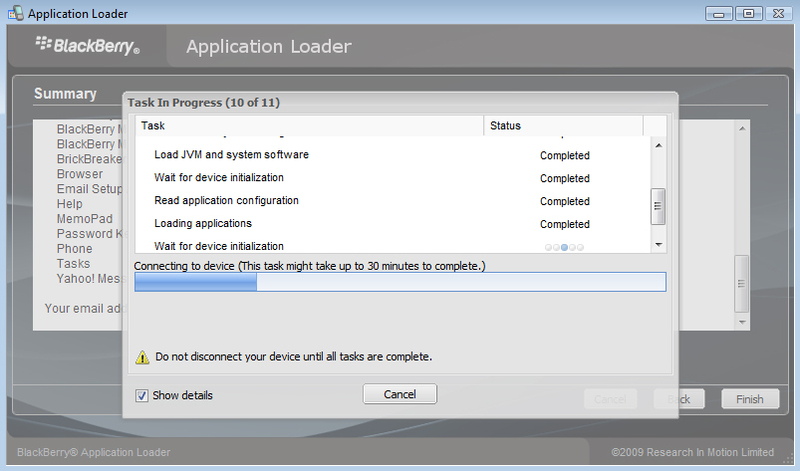 It took me nearlly 2 hours to update the device software.